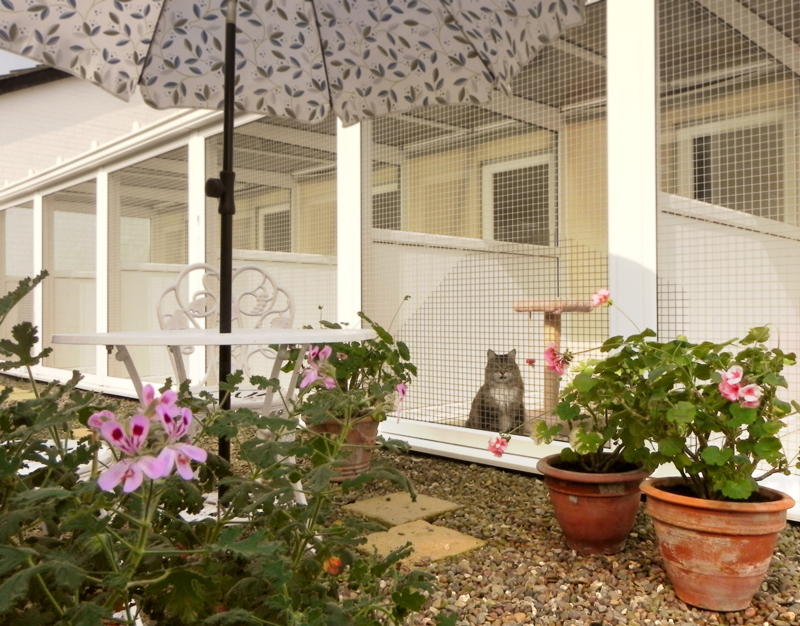 Each private terrace looks out on to a pleasant secluded courtyard garden which attracts a variety of wild birds. 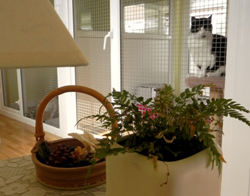 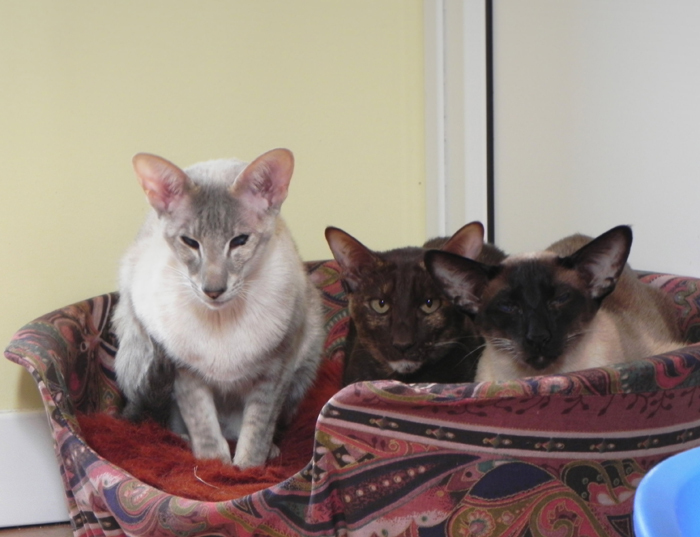 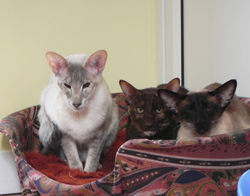 Our apartments are exceptionally spacious and can comfortably accommodate up to 4 cats from the same family. 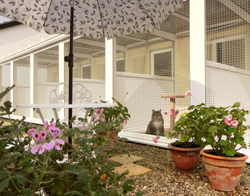 One of our guests Billy is enjoying his own private terrace on a sunny summers afternoon. 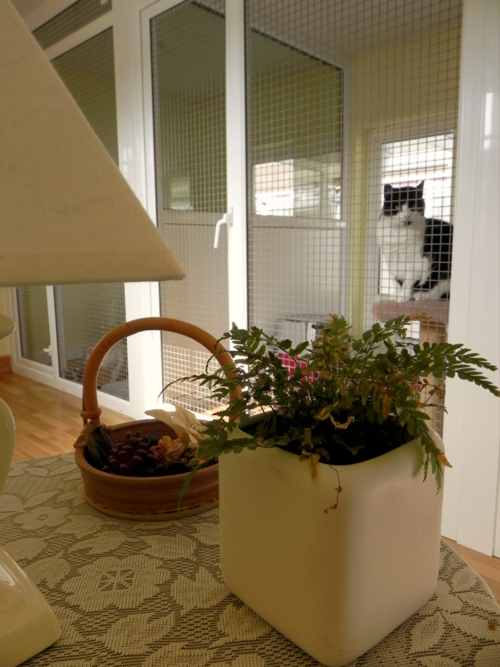 This photo shows the light, airy, spacious surroundings. 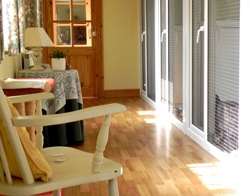 The quality accommodation reminds Peter of the comforts of home. 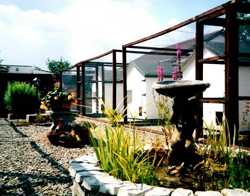 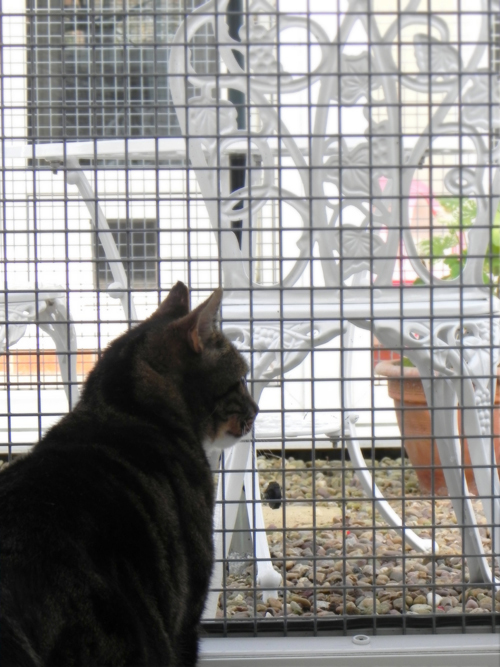 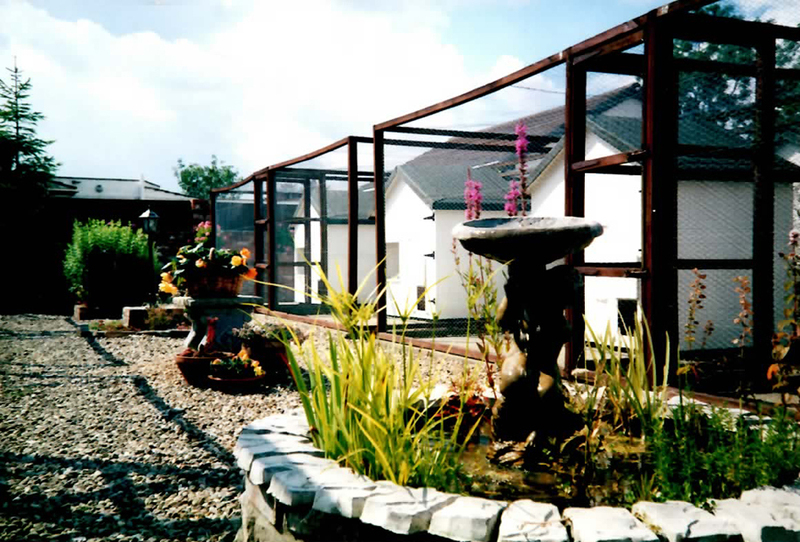 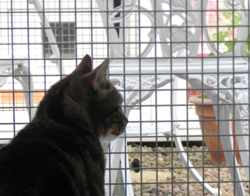 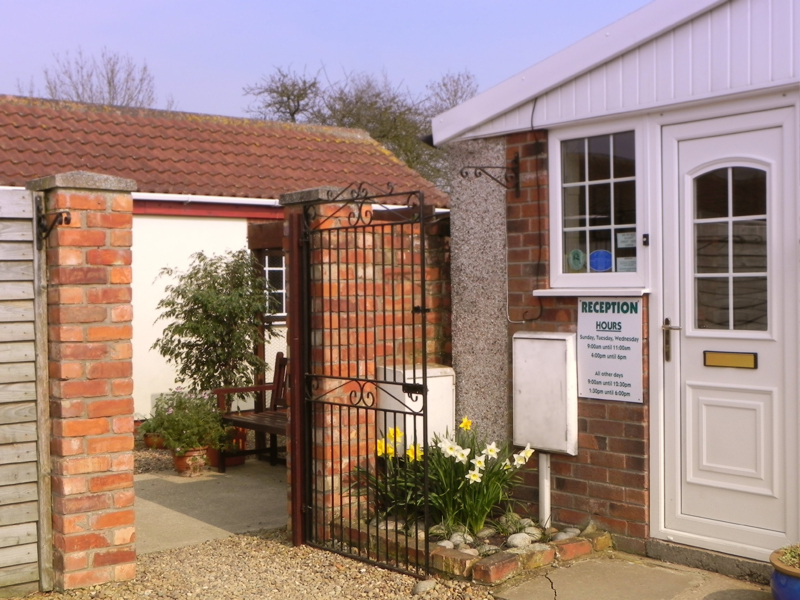 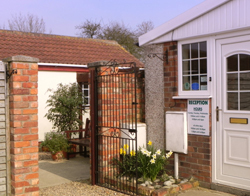 You can be sure of a welcoming reception at the Gilberdyke Cats Hotel. 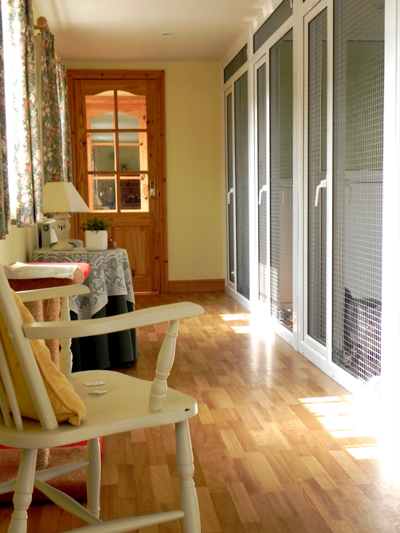 A view of our private and spacious chalet accommodation.